An incendiary mix of documentary, poetry, storytelling, drama, and performance, Every Child is Born a Poet explores the life and work of Piri Thomas, the 75 year-old Afro-Cuban-Puerto Rican author of the classic autobiographical novel Down These Mean Streets (1967). The film traces Thomas’ path from childhood to manhood in New York City’s Spanish Harlem, El Barrio, from the 1930′s through the 1960′s: his parents’ immigrant experience, home life during the Great Depression, membership in barrio youth gangs, his struggle to come to terms with his mixed-racial identity, travels as a teen-age merchant marine, his heroin addiction, his notorious armed robbery of a Greenwich Village nightclub, his six years spent in prison, and his emergence as a writer. Thomas’ coming-of age story is counter-pointed with verité scenes of his on-going work of forty-five years as an educator and activist empowering marginalized and incarcerated youths. A stylized, genre-spanning production, Every Child is Born a Poet includes rare archival footage & still photographs and provocative mixed-media artwork, as it examines Thomas’ use of creative expression as a means of confronting poverty, racism, violence and isolation. Pulsating with an original Latin Jazz score, Every Child is Born a Poet is a riveting portrait of a life lived through struggle, self-discovery, and transformation. Robinson was born in New York City in 1960. He received a B.A. in Modern History at the University of California, Berkeley, and received an M.F.A. in Live-Action Film Production from the California Institute of the Arts, Valencia. 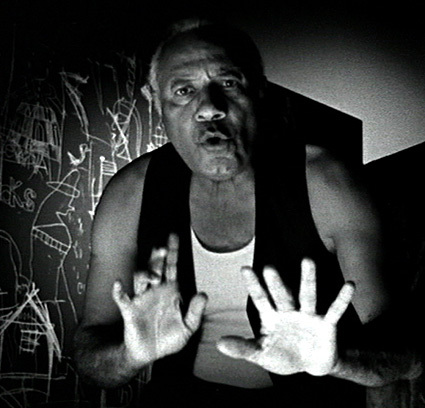 His video on India, cultural difference and the contemporary colonial imagination, sight unseen: a travelog, was featured at the 1993 Biennial Exhibition at the Whitney Museum of American Art, won the San Francisco Museum of Modern Art’s SECA Video Art Award and was named Best Experimental Video at the Image Atlanta Film and Video Festival. Robinson has worked as a freelance editor and script consultant and extensively in the non-profit world of criminal and juvenile justice. He currently lives in New Haven, Connecticut with his wife and two daughters. Division of Time Warner Entertainment, Vo., L.P.
© 2003 When In Doubt Productions, Inc. All rights reserved. Fore more information, please visit: www.everychildisbornapoet.com.